The Elmhurst Real Estate Market had another solid month in October while starting to build up some much needed inventory. With the limited inventory buyers still need to act quickly when a new listing comes on the market. 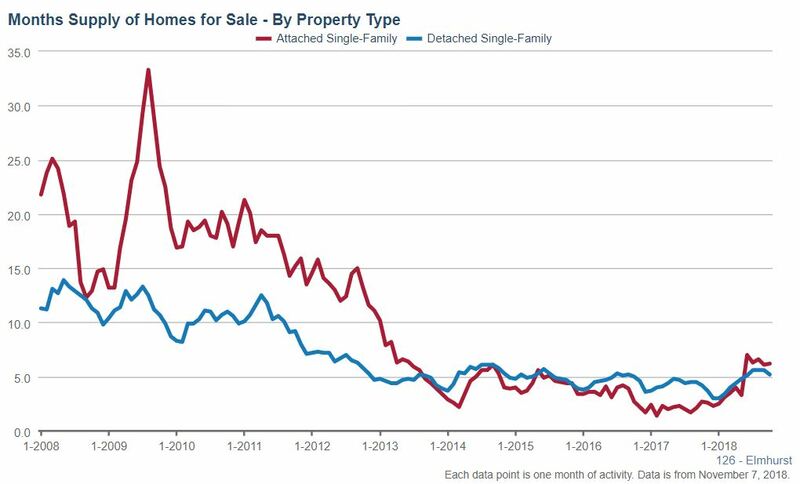 Single family home market times increased in October. Homes were on the market for an average of 101 days compared to 75 days last year at the same time, a 34.7% increase. The average time a condo/townhome stayed on the market was 21 days compared to last year when it was 83 days, a decrease of 74.7%. 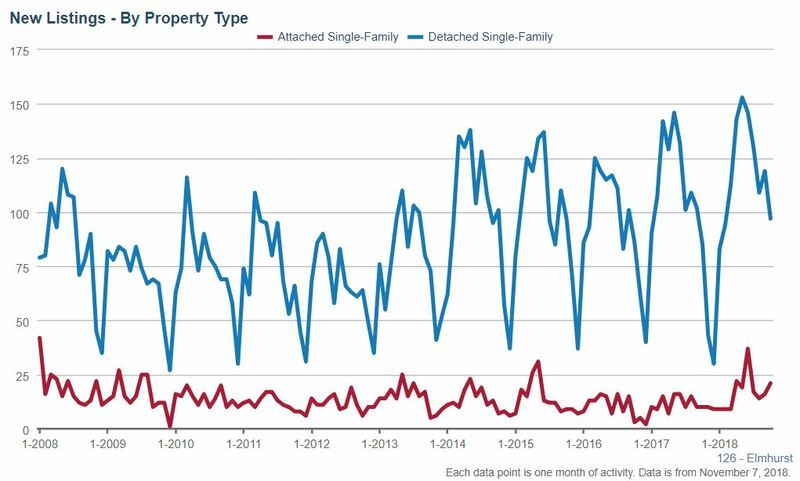 Single family home inventories in Elmhurst had a 5.2 month supply at the end of October, a 23.8% increase compared to last year at this time when the months supply was 4.2 months. The supply of condos and townhomes increased tremendously, 129.6% in October with 6.2 months supply this year compared to last year when the months supply was only 2.7. 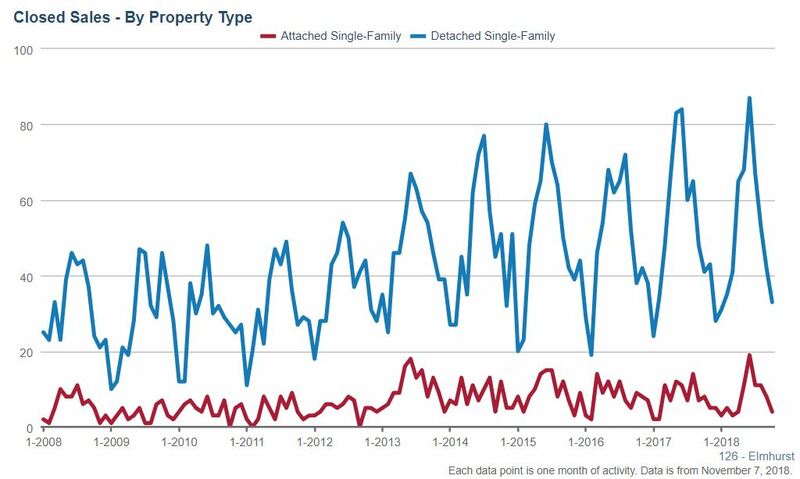 At the end of October there were 259 single family homes for sale in Elmhurst, a 17.7% increase from last October when there were 220 homes for sale. The number of condos and townhomes for sale increased 152.4% in October with 53 for sale this year compared to last year when there were 21 for sale. 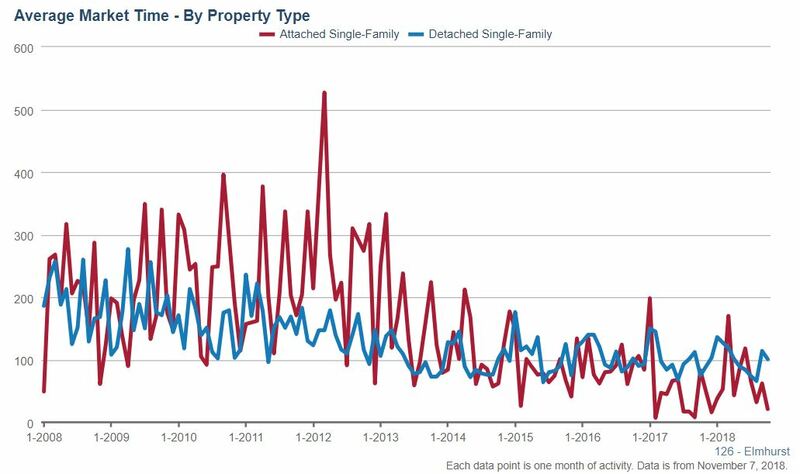 October single family homes new listings increased with 97 new listings compared to 85 last year at the same time, a 14.1% increase. Condo and townhome new listings increased 110% with 21 listed for sale this October compared to 10 the same time last year. 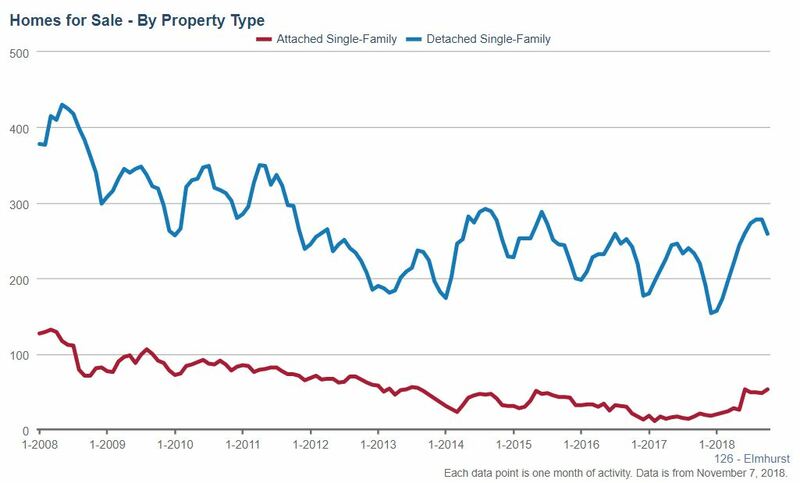 The number of single family home closed sales decreased with 33 closings this October compared to 41 last year, a 19.5% decrease. Condo and townhome closings had a 50% decrease in closed sales with 4 closings this year compared to 8 last October. The post Elmhurst Real Estate Market Conditions – October 2018 appeared first on Getting Real.